This presentation focuses on the unique relationship that is created when trying to process a VRS call – the relationship between the Deaf caller and the VRS agent. To facilitate that, it is presented from dual perspectives: a Deaf consumer and a VRS Agent! Join Keith Cagle and Terra Benton as they provide their insights into Video Relay Services. This WWWorkshop would be a great addition to any IPP to introduce interpreting students to the potential of VRS interpreting and the special demands, needs, and consumer views. It is also developed to help Deaf consumers of VRS to understand the unique challenges that VRS agents face daily. To obtain CEU credit, the mandatory activities will ask for you to answer some multiple-choice questions and some short-answer questions on your experience with VRS policies. 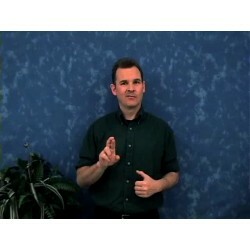 This workshop is presented in ASL (one hearing and one Deaf presenter).